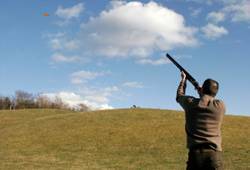 If you’re looking for some country fun then try clay pigeon shooting. A traditional yet thrilling sport for people of all ages. You will be hitting the targets in no time and get the thrill of seeing your target explode mid flight... who knows, you may be a crack shot! As with all electrical products from MonsterShop you are covered by the MonsterShop warranty, so on the slim chance something does go wrong, we’ll repair or replace your item completely free.